After each country I visit I post an informative article on different interesting facts that I learned will traveling through that country or that I found online while researching the country. 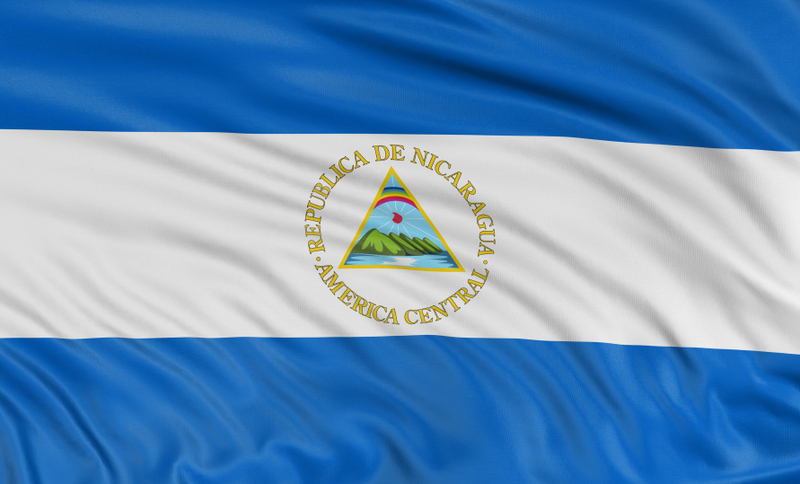 It is a little bit overdue, but here is my next post in the “Interesting Facts…” series for the country of Nicaragua. Nicaragua was one of my favorite stops on my last trip, meaning I didn’t get to take advantage of any Costa Rica vacations because I spent so much time there! 2. Lake Nicaragua, home of Ometepe Island, is the home of the only freshwater sharks in the world. According to a guide I had on the lake the sharks are Bull Sharks that swam upstream chasing food and then eventually stayed in the lake, and evolved to live in freshwater. 4. At 130,370 square kilometers, Nicaragua is the 97th largest country (out of 251) according to the CIA Factbook. It ranks between Greece (#96) and North Korea (#98). 5. In most Latin American countries Soccer (Futbol) is the most popular national sport. In Nicaragua, however, the most popular athletic pass-time is Baseball. Almost anywhere you go in Nicaragua you will see baseball fields and on weekends or in the afternoons you can see organized leagues playing around the countryside. 6. There are no street names in the Nicaraguan address system. The system is quite complex but the general gist of things is that addresses are given by using reference points to major land marks. An example would be “Three blocks north from dead guys corner, and then east one block.” Not a bad system right? Unless you have no idea which corner in the city a guy died on… The names of corners and land marks also have a tendency to change periodically, and even if you are aware of the system if you don’t know the new landmark name you won’t know what they are talking about. There is actually one area in downtown Managua that is used as a landmark and the name of the area is the name of a building that was SUPPOSED to be built there but never was… So, as you can imagine, it can get very very confusing. 9. Nicaragua has two autonomous self governing regions on the caribbean coast of the country. The North Atlantic Autonomous Region has its capital in Bilwi and the South Atlantic Autonomous Region has its capital in Bluefields. 11. In 1856 an American General named William Walker declared himself the president of Nicaragua and declared the country a slave state of the United States. Over the next year Walker was kicked out of Nicaragua by the Nicaraguan people and other U.S. military personnel, specifically Cornelius Vanderbilt. Good facts! Can’t wait to see Nicaragua! Feel free to email me for any tips or advice for when you get there! Make it very high on your “to do” list! It is an amazing place! Really interesting facts! I’m especially intrigued with 6 & 7. I’m sure I’d be totally confused, but would like to give it a try sometime. Yea, it was definitely interesting, haha! I love the history part of travel so good to learn more about Nicaragua. I love soccer and baseball but baseball was my first love so I like #5. Yea this past trip has really increased my appreciation for the history of the countries I visit. I have been to Central America many times but I still have to make it to Nicaragua. I am really interested in visiting Ometepe island. Thanks for sharing this facts. There are something intersting things to learn about different countries. Ometepe is a very cool place. Probably one of the more relaxed places I’ve been in Central America. If you make plans to go let me know and I’ll be more than happy to give you some tips for places to stay! You had me at “the only freshwater sharks in the world.” I’ve only gone diving with bull sharks once in Costa Rica and it was an amazing experience and one I’d love to repeat. Wow, you are brave! I didn’t see any diving companies while I was there but I’m sure they are somewhere! I’m with Cathy on numbers 6 and 7. Genuinely strange – never heard about that before! I knew about the baseball they really love the sport more than people do here in the states. I guess I would be lost because upstairs and downstairs would simply confused the heck out of me. Thanks for sharing those facts about my country….one that you should add is that currently it is the only country in the world where you can do “Volcano Boarding”!!! Climb up a 400 meter active volcano, and slide down it’s 45 degrees slope after viewing spectacular ranges of volcanoes (23 in a row) and two craters at its top. There are lots more adventures to see and do here.